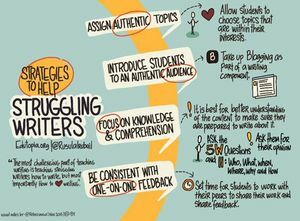 Student writers often struggle because they lack connection with the assignment or an authentic audience. Relevant topics, blogging, and brainstorming with peers can remedy this. It's the day that my first-year college students are sharing the outlines/rough drafts of their final essays with their peers. As I walk around the classroom, a few students put their hands up for me to take a look at their work and give feedback. I look at 5-7 students' work and feel so proud that their outlines are detailed, meticulous, and clearly structured. I pause and think, "This is amazing. They're writing really well and even enjoying it!" I look at other students' work, the ones who are sadly gazing down at their outlines or laptop screens, and the ones still reviewing the stories to pick a topic to write about. These students are my struggling writers, and they need my help more than the others. The most challenging part of being a writing teacher is more than teaching struggling writers how to write -- it's teaching them how to love writing. According to data from the National Center for Educational Statistics, four out of five students are not proficient writers. Those stats reflect my students' stats in the classroom -- 5-7 out of a class of 35 students were proficient writers and did not need any further assistance from me. But what about the rest of my students? 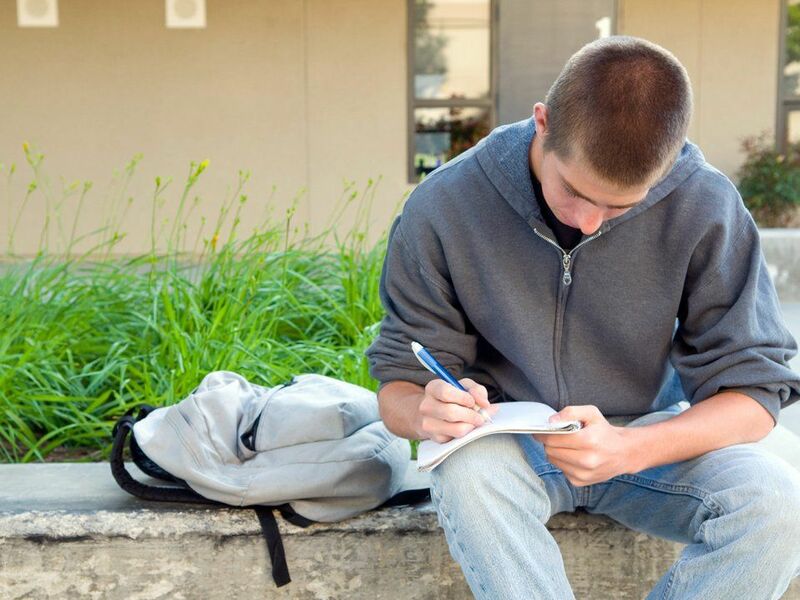 How can we help students who struggle with writing? Many struggling writers experience a disconnect between what their writing assignment is focused on and what they perceive to be relevant in their lives. Students' passion is often ignited by completing work that relates to who they are and what they truly care about in and outside of school. Allow students to choose topics that are within their interests. It might help to provide topics that are broad, which they can focus and narrow down in relation to what they want to discuss. Ask the 5 W questions (plus one H). Everyone is familiar with these questions: who, what, when, where, why, and how? It's OK to make this part of students' shared brainstorming process for their topic. It will help remind them of the important themes in the text, and will also allow you to see the areas in which they need further explanation. What did they find interesting about the topic? How do they relate to it? How do they not relate to it? Do they have a story to share about the topic? Does the author have a strong main idea about what he or she will be discussing throughout the essay? What is the thesis statement or main argument? Write it out in your own words. How does the author support his or her thesis/main ideas? What is the single most important thing that the author needs to work on before submitting the paper? For struggling writers, it often takes a lot of effort from both the teacher and the student to start writing with ease and even to love writing. It is doable with a strong teacher-student relationship and a consistent understanding and communication between students and their peers.